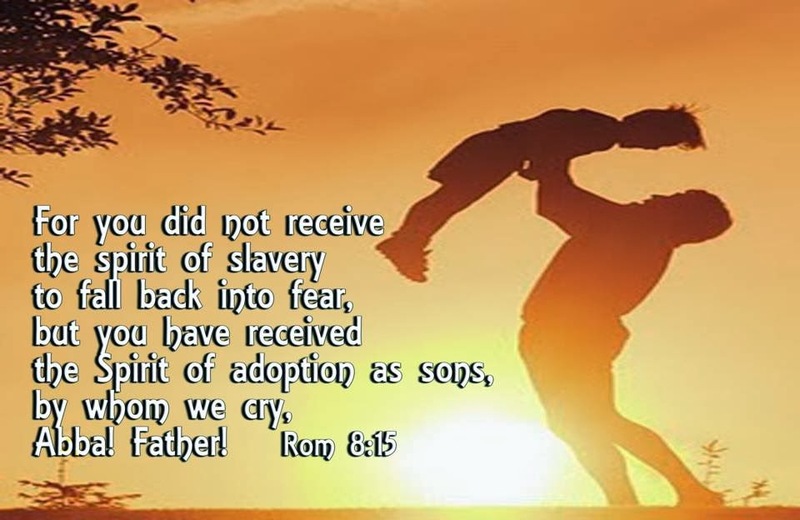 Spiritual - I've been pondering Romans 8:15 this morning: "The Spirit you received does not make you slaves, so that you live in fear again; rather, the Spirit you received brought about your adoption to sonship. And by him we cry, “Abba, Father.”"
I love to use the word "Abba" to talk to my Heavenly Daddy. It's the Word Jesus used when He called God His Father. Although this was used in the Old Testament, it still stirred up the the religious Jews of Jesus' day who considered it blasphemy to call God their Father, because they understood that to mean they were equal with God. I believe Jesus used this term, so we could know who God really is and how He wants us to relate to Him. 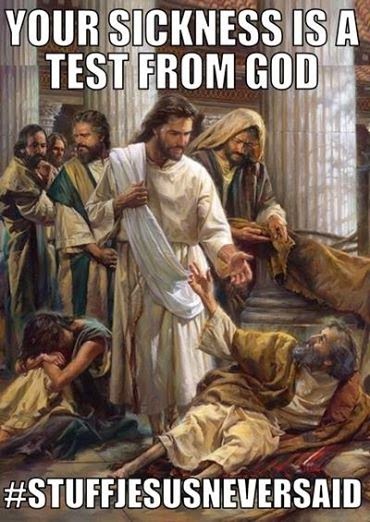 Most people don't have a problem relating to Jesus, but it's a whole other image when it's God the Father. But Jesus said that if we had seen Him, we had seen the Father. Abba is defined as "a term of tender endearment by a beloved child – i.e. in an affectionate, dependent relationship with their father; "daddy," or "papa." Jesus' use of this title brought a whole new understanding to our relationship with God. 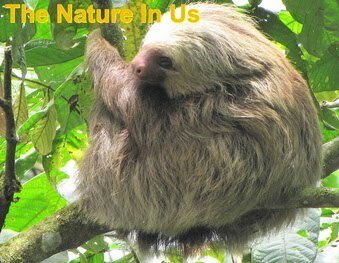 It reveals the kind, gentle, loving nature of our God. It takes away the image of God as being angry with His hand raised in judgment. It promotes the image of a loving Father who understands and is our very best friend. Consider 1John 3:1, "Behold what manner of love the Father hath bestowed upon us, that we should be called the sons of God." We are sons and daughters of God by adoption. Jesus was the Son of God by His very nature, but we have been adopted into the literal family of God. Jesus purchased us with His blood. 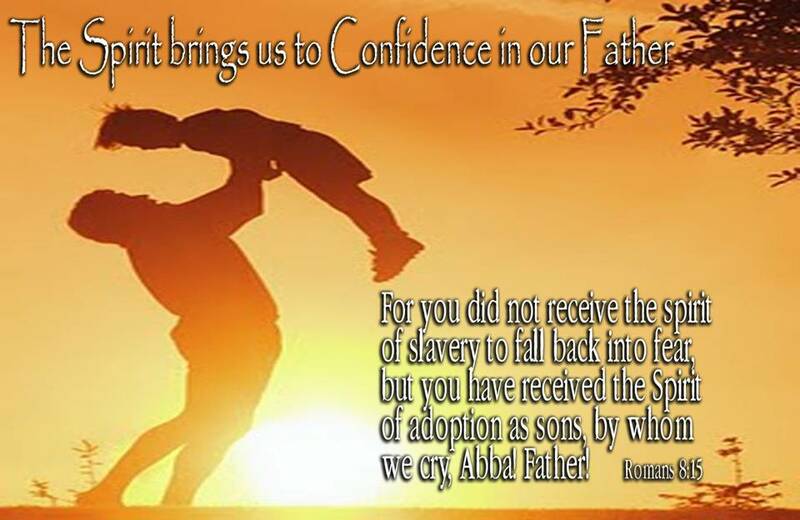 We are sons of God by adoption. Jesus was the Son of God by nature. We are not only heirs in the family of God, but literal joint-heirs with Christ. That means we share equally with the One who has inherited everything that God has and is. It is way beyond my comprehension. 1John 4:17 tell us that "as he is, so are we in this world." It's hard to get my human mind wrapped around such a provision of the Lord. How great is our God! Personal - Speaking of fathers ... I was so blessed to grow up with a wonderful Daddy. 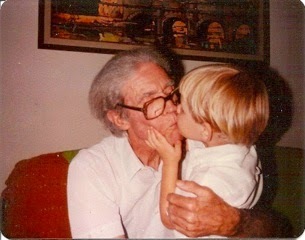 He was actually my grandfather and he absolutely adored me. I never knew how blessed I was to have such love and favor since so many children grow up with less than favorable conditions. Not that I didn't have a turbulent childhood, but looking back I was the one who caused all of that. Much too strong-willed and independent. While we're on the subject of strong-willed and independent, I took off on a spiritual trip to Newnan, Georgia last month for a week alone. I'd been planning it the whole year and just never stepped out to do it mostly due to hot weather. When I made my plans definite for November, it seemed my health tanked, but that only showed me that what I wanted to accomplish did not please the devil, so he was adding extra challenges to make me choose to stay home. I did not. More on that below in the Travel segment. Gardening/Birds - We garden for wildlife so when we needed something to quickly cover up the storage building in the backyard at the end of the driveway we chose Nandinas (Heavenly Bamboo or Sacred Bamboo). Although it was not a native plant it was billed as a great berry producer and and so we thought it would net itself out. 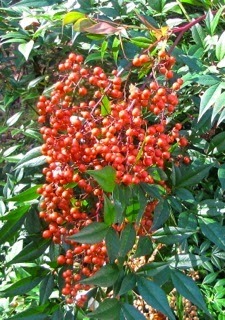 Then I found out that Nandina berries are toxic to birds and all wildlife. Not a good thing, so now I cut off the berries and use them in flower arrangements or just as a decorative addition in a vase by themselves. They are heavy producers of berries, but it makes me sad to think we have something toxic to birds in our habitat. Be sure to read this article if you have Nandinas and please inform other bird lovers of this article: Nandina Berries Kill Birds. In the world of owls, breeding season has begun even with frigid temperatures. We have a Great Horned Owl hooting in the back woods. Sounds so lovely (see and listen to video). The deep “Morse code” hoots echoing across the hollow are all about courtship and pair bonding. I'm fortunate to have a neighbor who loves hearing them also as she goes to sleep. They begin breeding in December. He's been hooting for a mate or to warn off other suitors maybe. The deep hoots are the males and the slightly higher pitched hoots the larger females. Health/Spiritual - I've heard quite a few people speak with fear about the Ebola virus. We who are Christians should live and feel differently than the rest of the world. God has given us great and precious promises. 2Peter 1:4 tells us that we've been given "exceeding great and precious promises: that by these we might be partakers of the divine nature, having escaped the corruption that is in the world ..."
Do we believe in God's promises or are they just something to read and not put any faith in? What good is the Bible if you can't use it to make a difference in your life? Psalm 91:11 says, "For He will order his angels to protect you wherever you go." My heavenly angel fulfilled this Scripture when I fell asleep at the wheel on the way to Georgia (mentioned above) and woke up to a strong jerk into another amazingly empty I-85 lane that kept me from crashing into the concrete wall. I had cruise control on for 70 mph. Many years back I memorized Psalm 91 in the King James Version. Recently I've been meditating on the New Living Translation because I like the simplicity of it. Maybe for some KJV is too 'complex' to understand and that could be why it's not implemented into hearts. It's what we believe in our hearts that makes and drives our lives and choices. Our beliefs mold and shape us into who we are. Read over this NLT portion of Psalm 91 and meditate on it. Not just for a few minutes. Write it out, chew on it each day for as long as it takes for it to get into your heart and change your mind on what you believe about Ebola or anything other disease you fear. Personalize it for YOU as I have done here. "This I declare about the LORD: He alone is my refuge, my place of safety; He is my God, and I trust Him. For He will rescue me from every trap and protect me from deadly disease. He will cover me with His feathers. 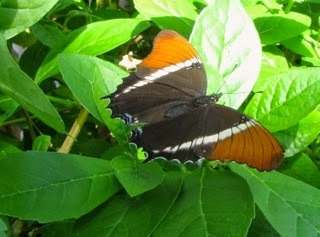 He will shelter me with His wings. His faithful promises are my armor and protection. I am not afraid of the terrors of the night, nor the arrow that flies in the day. I do not dread the disease that stalks in darkness, nor the disaster that strikes at midday. Though a thousand fall at my side, though ten thousand are dying around me, these evils will not touch me" (Psalm 91:2-7). We read that and don't believe it because we don't see it. But what we don't realize is that our disbelief is why it isn't working for us. The Bible isn't a novel. It's not something to read through page after page. You take a portion of the Word that the Holy Spirit lays on your heart and meditate, ponder, and chew on it till it becomes real to you ... until you are experiencing it from within and there is no doubt left in your heart over it. This is not the way of life these days with all the media opportunities there are out there to grab our attention. It may seem like a waste of time or just too boring to focus on one small segment of Scripture for weeks. After all life is all about output, right? How much can you produce? But that's not God's way. He said the least will be the greatest (Matthew 19:30). Let me ask you this .... how's it working for you in your daily 5-minute Devotional or your Read-The-Bible-In-A-Year-Program? Has your life been changed by that? If you're not getting the results you want from the Word, why not try something different? Ask God to give you revelation on the words within His Word. Read various translations to get more insight into the original Greek definition of the language. BlueLetterBible.org is a great place to dig deep. Maybe you don't have the heart to want to "seek Him and find Him when you seek Him with all your heart" (Jeremiah 29:13) or to "be still and know He is God" (Psalm 46:10). Could that be because you're not seeing the Word work for you? Again ... try something different. Let me know what you think after a week of it. Psalm 91 is one of my favorite passages of Scripture since it had a special role to play in our lives when our house was struck by lightning with a fire in the attic that we didn't even acknowledge for 20 minutes. When we did realize it and went to call 911, we found it had blown out the telephone lines. This was a cedar home so it should've gone up like dry firewood the firemen said. Well ... that's another story and you can read that in another blog post: Psalm 91 Protection. Travel - In mid-November, I took a faith trip with Jesus down to Newnan, Georgia. There's a church that we've been participating in online and I have been wanting to visit all year. Finally headed out on the 14th and returned on the 20th. 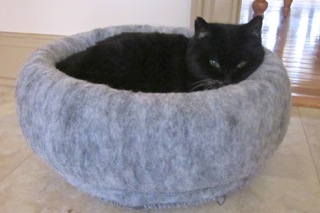 Randal kept Squeek, our kitty, company and worked. The devil threw in challenges a week before I left but I knew I was to go. He never wants good for us and I knew this trip was considered "Good!" by God. I was so tuned in on a spiritual message on CD that I actually didn't stay on the highway I was supposed to be on, so the trip down was 12-1/2 hours long. Since I only had 4 hours sleep before departing for Georgia, I fell asleep at the wheel by mid-afternoon on the interstate with my cruise control set at 70. God had an angel zap my car out of the lane where I would've hit the concrete wall side of the interstate highway. And amazingly, there was nobody in the lane to the right, but that quick jerk sure woke me up. I was wide awake for the rest of the trip down. Psalm 91:11-12 says, "For He shall give His angels charge over you, to keep you in all your ways. In their hands they shall bear you up, lest you dash your foot against a stone (or concrete divider)." The church was amazing, awesome and I felt as though I'd been there a long time. I met a couple and the wife said she felt like she'd known me already. It was nice to put the visual dimension into the folks that I'd seen on the computer. I was invited to "hang out" at the church with the staff after their weekly meeting so that was a very special time of three hours and they prayed for me and my health has made some wonderful improvements. It was 11 hours back and my trip home was definitely better than the trip on the way down. As I said, Psalm 91 has been a reality in my life many times. I'm glad I still meditate on it enough for it to sink into my heart's belief system. We need to digest the Word and apply its promises to our lives. I have a friend that lives in the town to the east of Newnan so I did get to spend some time with her. 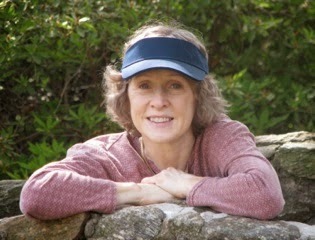 She was an earthly angel God used to help me while I was there. We enjoyed visiting a nature center (photos in next issue) and a state park she'd wanted to go to. It was also on my list of want-to's. It's Georgia's newest state park, Chattahoochee Bend State Park. It was a lovely warmer-than-expected day even though it was supposed to rain. View State Park Photos in Gallery. We also did a drive-through for some pictures of the Ashley Park Outdoor Mall for our son who enjoys shopping. I'm not much of a shopper myself. It looks like a nice place to take a stroll and chat with some areas of benches. There was also a central area with a fountain and several metal sculptures, but I couldn't get a photo of that from the car with the traffic. I love metal sculptures! View Photos of Mall. Holidays - Being vegetarians since 1979, Thanksgiving has never had food as the focus since somehow Thanksgiving seems to be synonymous with turkey. However when Benjamin, our son, was at home we always had a celebration meal of Thanksgiving for the previous year of God's goodness unto us and mankind. The last one I prepared was in 1998 before Benjamin moved to Oklahoma City. This year seemed to be an especially good time to celebrate the holiday. It's a year that I've decided not to let Winter be the focus, but all the goodness around me that God has placed in my life. 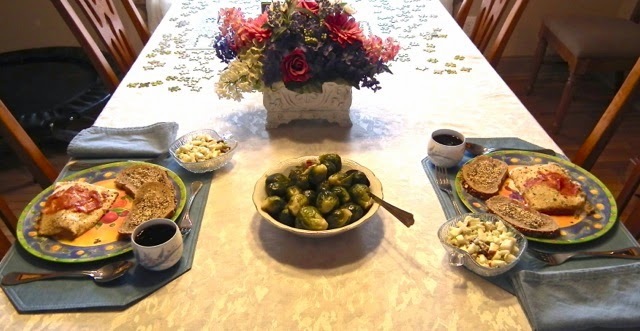 So, we had a simple menu plan of Waldorf Salad on Romaine Lettuce, Amy's Roasted Vegetable Lasagna (frozen), Brussels Sprouts in Butter, and Rustico Basil Garlic Bread with Olive Oil and Grape Juice. For dessert I made Honey Pumpkin-Pecan-Coconut pies. It was a very special meal. Pets - The pies took 1-1/2 cans of pumpkin so I had some leftover. Remembering I'd heard that dogs enjoy pumpkin, I decided to spoon out a bit into a dish for Squeek, our cat. Lo and behold! She gobbled it down like it was a treat. So she got the rest of the pumpkin over the next few days. I guess that means she had a special Thanksgiving meal also. Pets: What Is That Foul Smell?